Make sure that every cable in your inventory is in working order with the Applied cable testers. 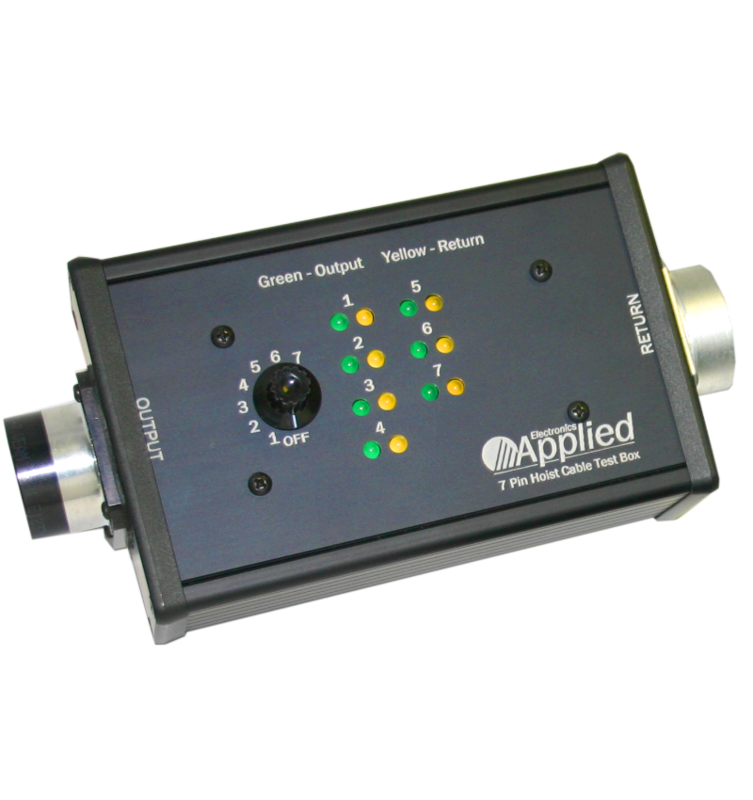 Applied test boxes are available in 19-pin multicable, 7-pin motor cable, 3,4,5 or 6-pin XLR and an Edison/powercon version. Diagnoses both broken or swapped wires and pins on easy-to-read diagnostic LEDs for each circuit. A great tool for production shops and compact enough for your techs toolbox. The Applied cable test boxes are constructed with lightweight aluminum. They feature green LEDs on the output and yellow LEDs on the return for easy visual indication of wire status, as well as a simple rotary switch to quickly select which individual wire that is being tested. Our cable testing boxes are portable, easy to use, sturdily built and are offered in multiple types of cable connections. A great tool for shop technicians to assure good cables are getting packed for productions, or rental orders. The Applied cable test boxes are compact enough to be packed in workboxes and are a useful tool for techs to troubleshoot cables out in the field. As with all Applied products, these Test Boxes are made-in-the-USA and also come with a 2-year warranty.